LOLs XDDDDDD LazerBack is a good pet for her! Does anyone have Saber and Sayaka Miki? Why? They're both blue mostly and have swords. Comes May-July, I would like to see if I can get both Kyouko and Asuna and maybe Benio since they are all red. Xyphios (?) is blue as well. Man, that be expensive to do. THIS is an armored blondes in blue trio! I still need a Celia figure (the GK looks amazing) and the Sylvie GK (got her 2 other figures though). Sadly, as I said, no Celia yet... Wish they'd make the GK in PVC instead of that stupid bikini version. Well, isn't that something. Three blondes whose colors are mostly silver and blue. Come, now. 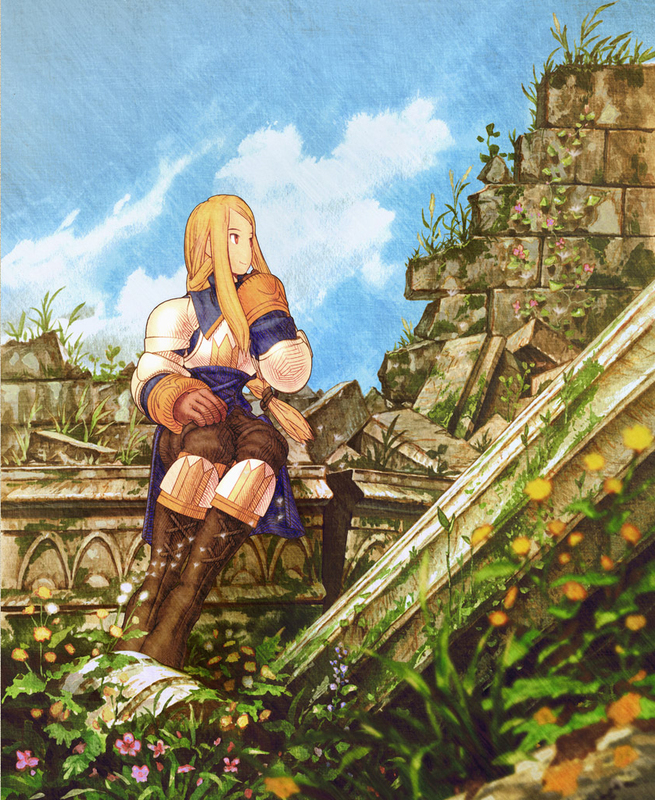 You'd listed Saber but no mention of Lady Agrias Oaks? 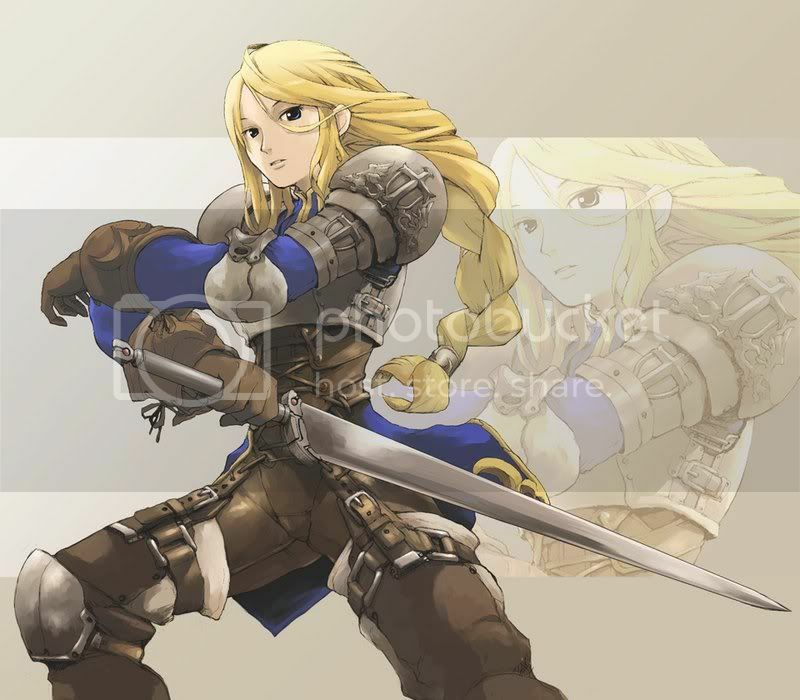 ...Who knew Blue and armored Blondes was a thing? She's pretty cool though, specially in fanart that doesn't use the same style as the game's.